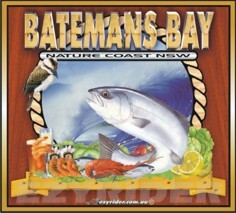 ﻿ Batemans Bay Stickers - Choose from picture varieties. 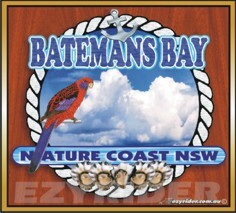 The following are a range of Batemans Bay Stickers I have in stock. Only about 5-10 of each. 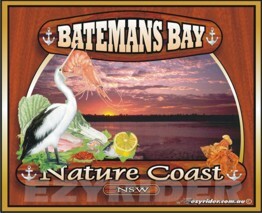 They are made out of exterior quality (sign) vinyl with a gloss finish. 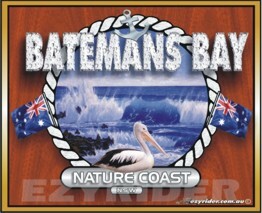 Size: 80mm high x 100-110mm wide.